Preachers often quote Spurgeon today because he had an ability to explain Christian truth to ordinary people with pointed, memorable statements. The people who heard and read his words were effectively taught theology and enjoyed it. He was a dogged defender of the Bible as God's truth. There was another side to Spurgeon's Character, he had a sensitive and loving nature that was the spur to him preaching the gospel, so that as many people as possible could hear the good news about why Jesus Christ came to spend time on earth, building a church for eternity. This also showed through in his warm pasturing of his congregation and the setting up of a college for future ministers of the gospel. Spurgeon realised that he could influence the church beyond his own lifetime if he could encourage future pastors to trust the Bible, love people and preach the truth fearlessly. To achieve this he collected his lectures to his college students and published this book. It has been a classic of pastoral theology ever since and is still used to train ministers to this day. 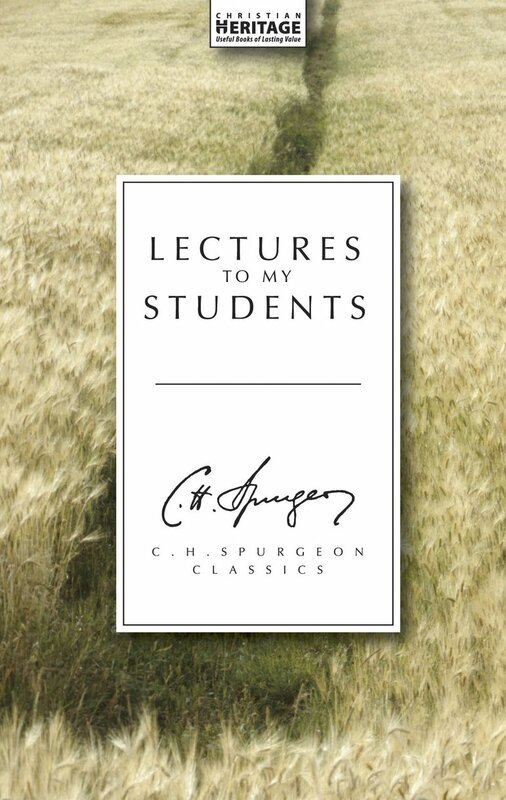 Lectures to My Students by Charles H. Spurgeon was published by Christian Focus Publications in November 1998 and is our 11507th best seller. The ISBN for Lectures to My Students is 9781857924176.